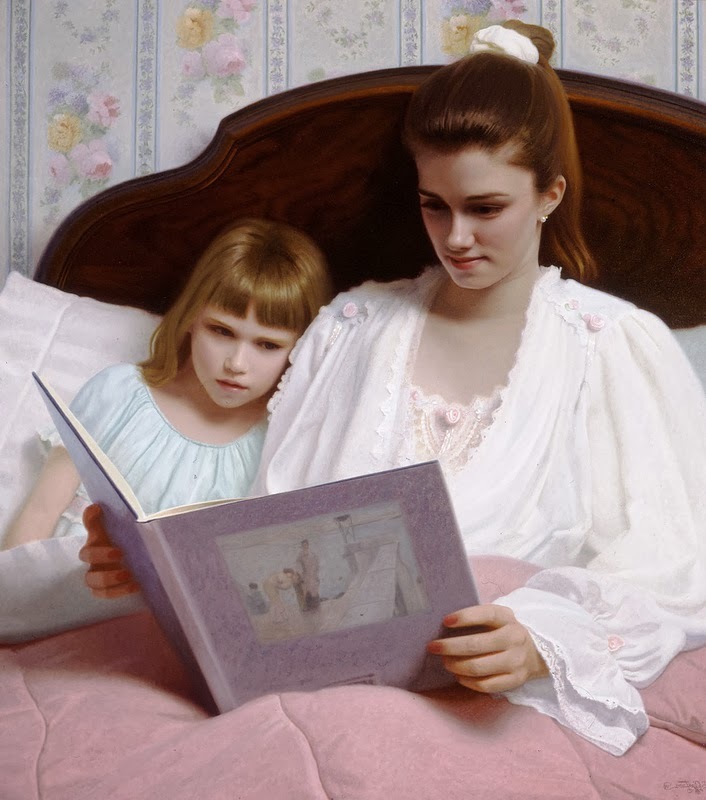 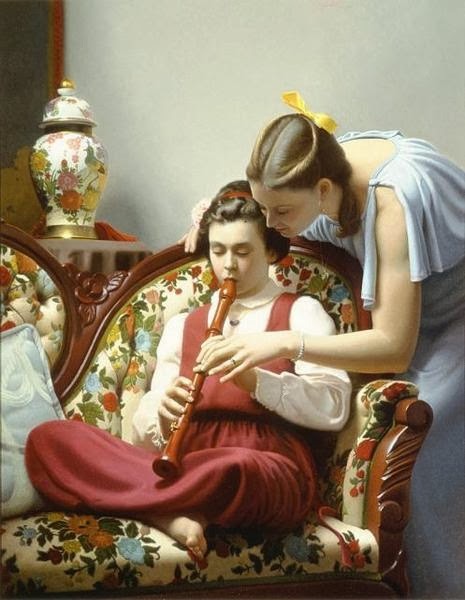 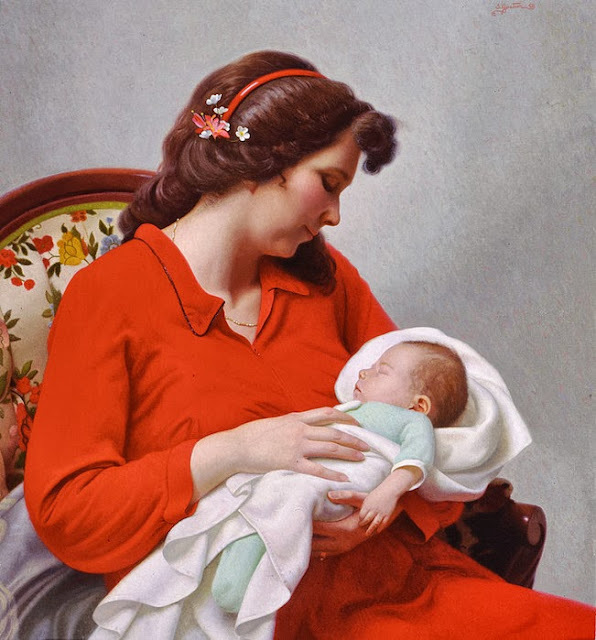 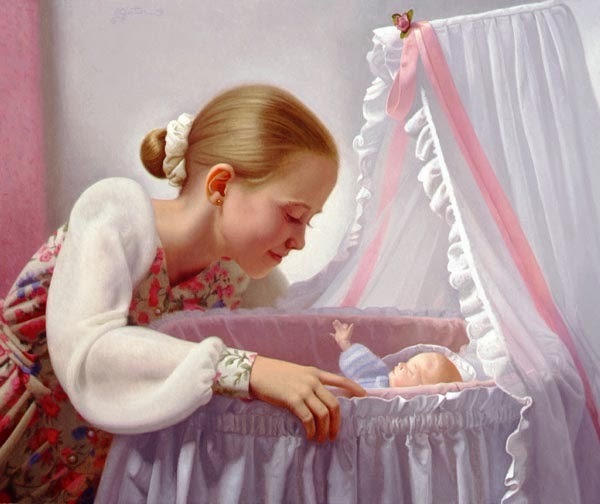 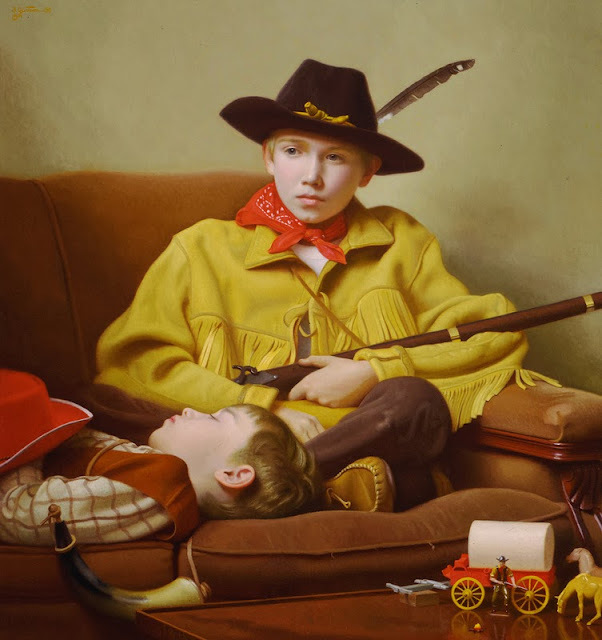 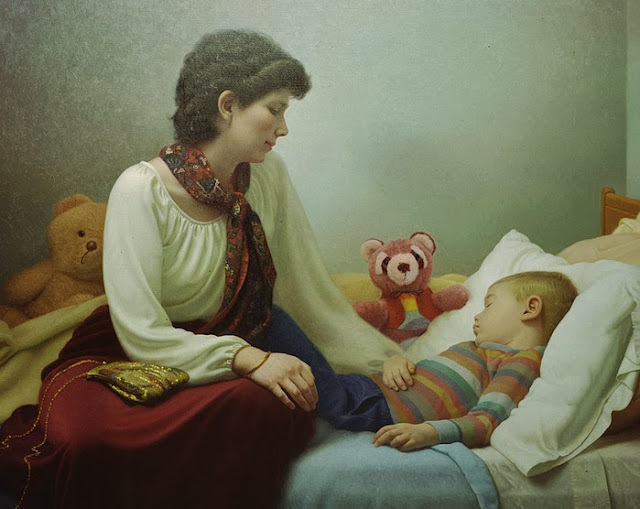 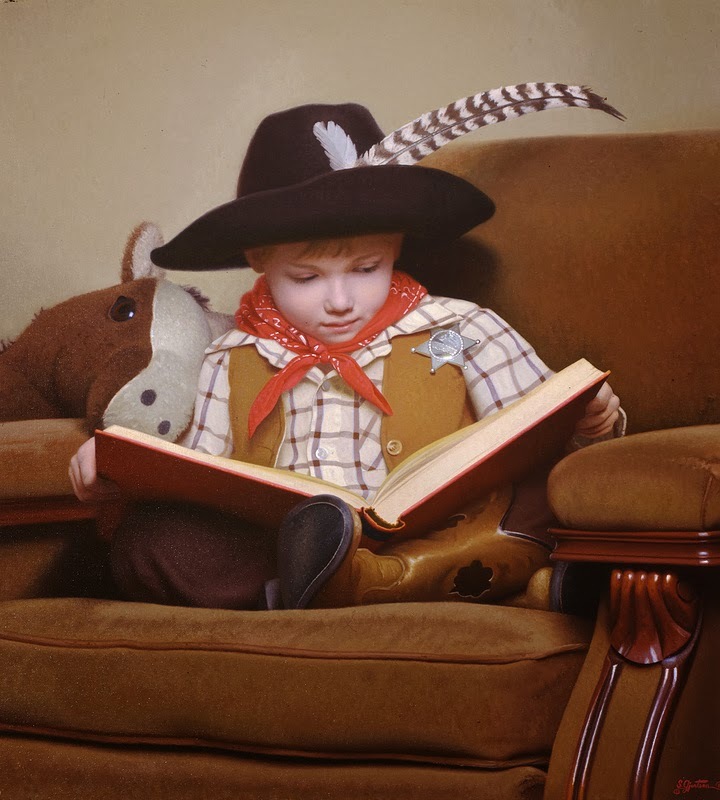 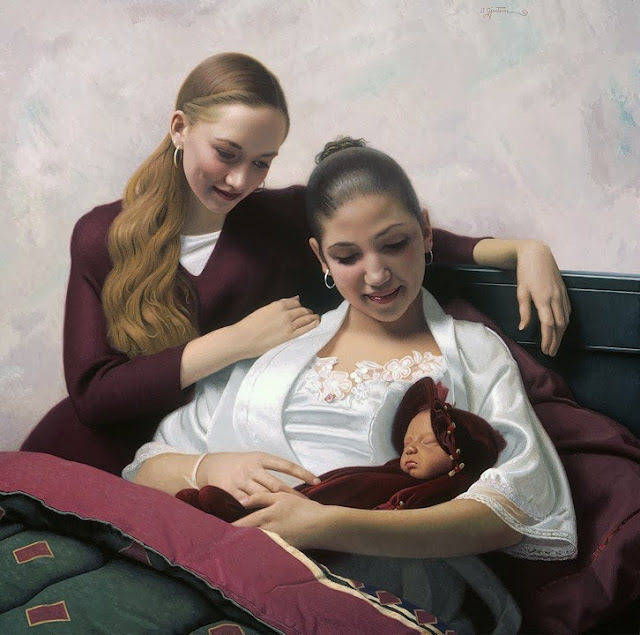 American Artist, American Painter, childhood paintings, Figurative, Figurative Painter, Mother, Paintings, Realism, Still life, U.S.
Stephen was born in Minnesota in, 1949. He attended college and art school for four years then studied from 1971 to 1975 at Atelier Lack where he was in the first cohesive group of students. 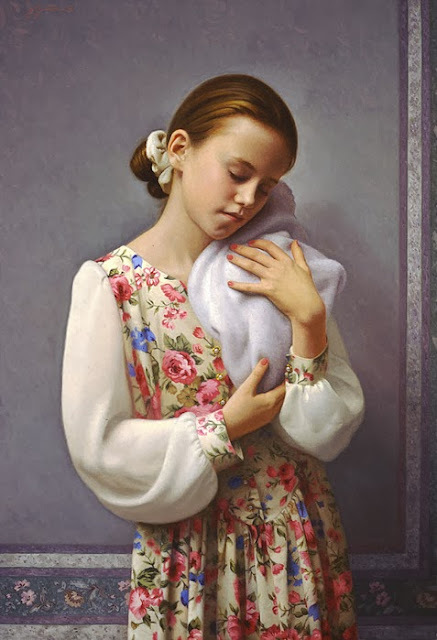 From 1973 to 1988 he taught at Atelier Lack, first in the evenings then assisting Richard Lack with the full time program. 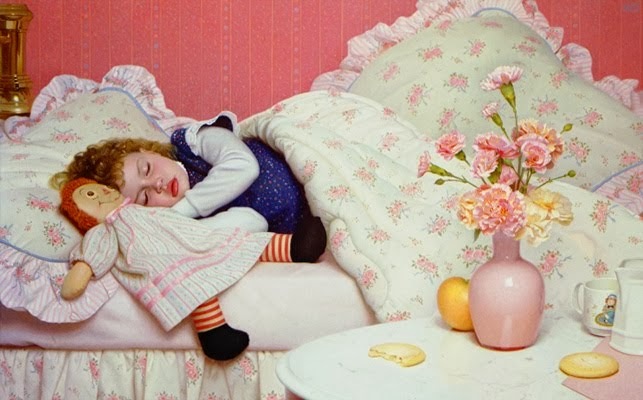 Gjertson has gained a considerable reputation for his elegant floral still lifes, which follow in the tradition of Fantin-Latour. He also paints plein air landscapes that share an affinity to those of the Russian artist, Ivan Shishkin. 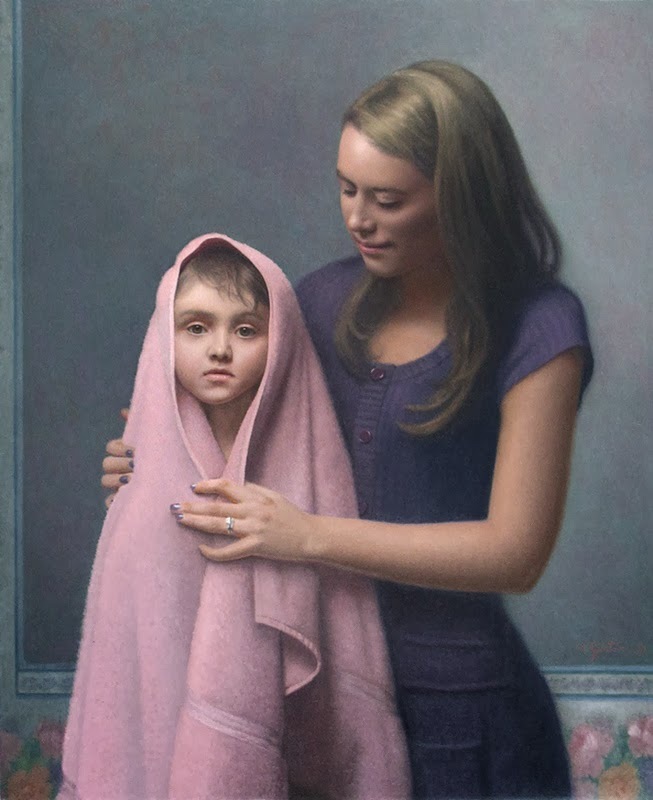 Most of his current work is figurative, either intimate genre paintings of his family and friends or more complicated works with biblical themes or symbolic treatments of contemporary issues. 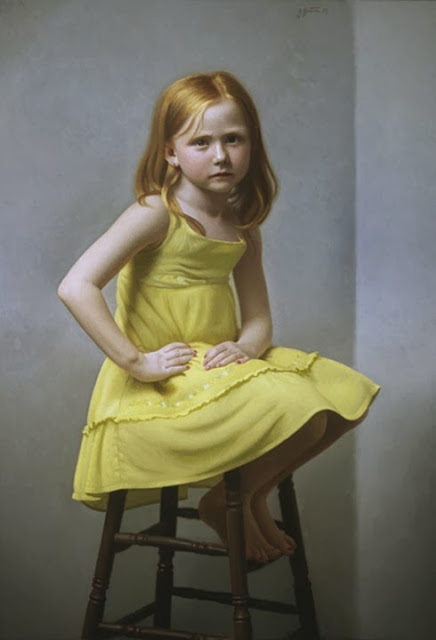 He was an exceptional member of the American Portrait Society and accepts occasional portrait commissions. 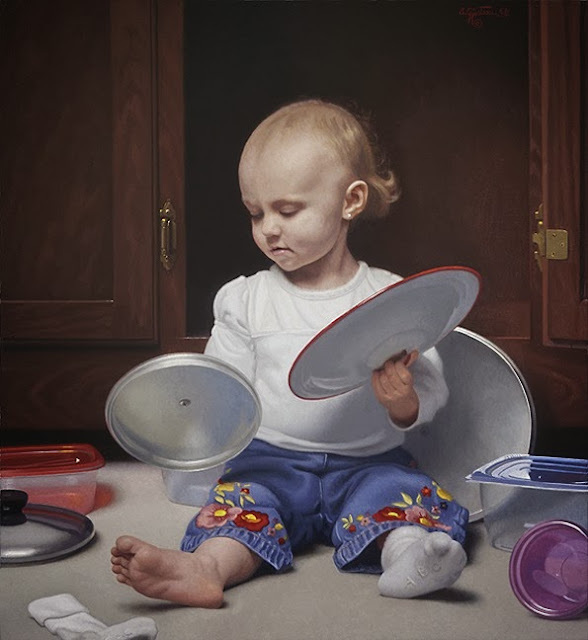 His work combines a subtle naturalism with superb drawing and balanced design. 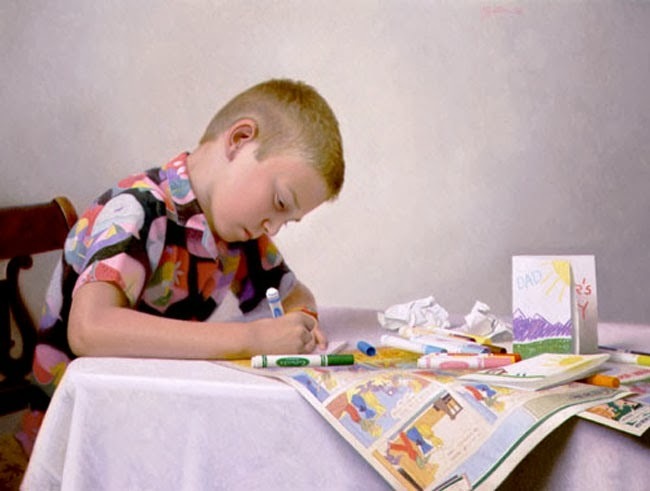 He has won several awards, including three grants from the Elizabeth T. Greenshields Memorial Foundation in Montreal, Canada and the Most Popular Visitor’s Award from Sacred Arts VII at the Billy Graham Art Center in Wheaton, IL. 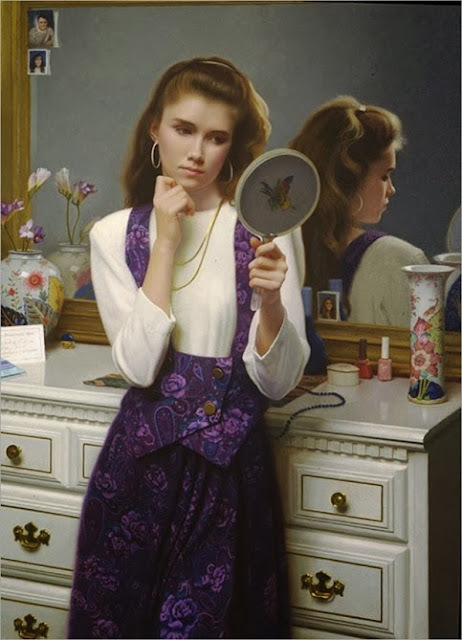 Gjertson has organized and exhibited in over fifty exhibitions featuring the work of contemporary realists and impressionists, including exhibitions at The Minneapolis Institute of Arts, The Amarillo Art Center, The Springville Museum of Art, The Carnegie Art Museum and The Maryhill Museum of Art. 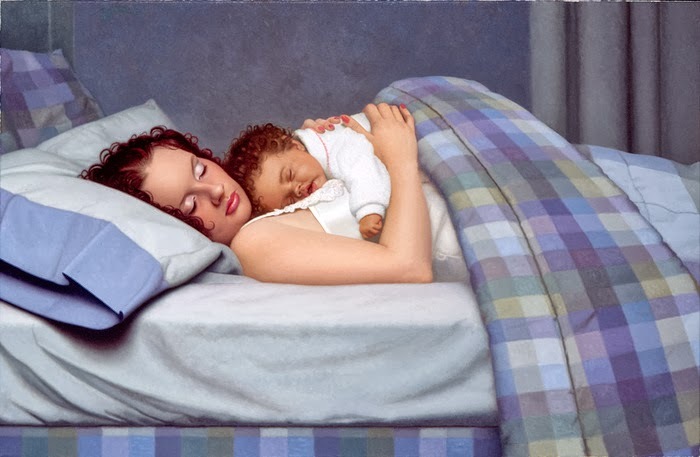 In 1995 he organized a major exhibition entitled Beauty: A Rebirth of Relevance for the Newington-Cropsey Foundation Gallery of Art in New York. 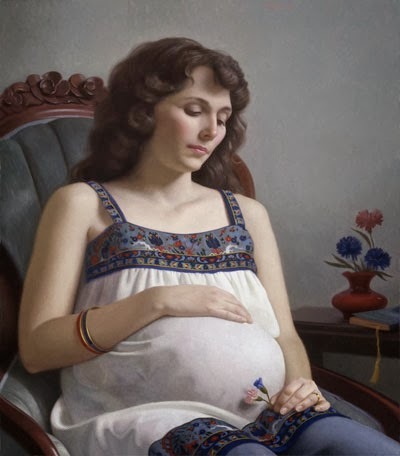 This exhibition featured the work of Richard Lack, Donald Koestner, Kirk Richards, and himself. 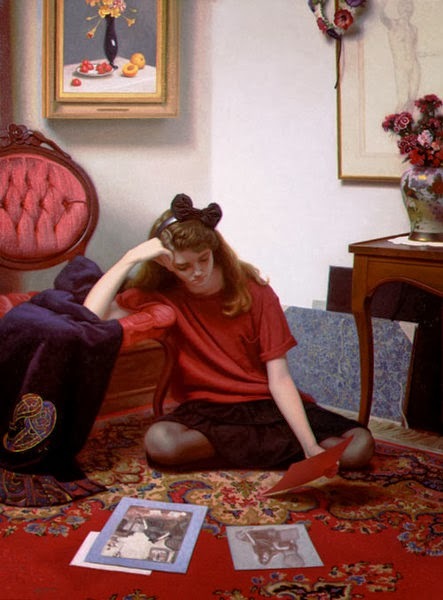 In 1997 he helped organize East Coast Ideals / West Coast Concepts, a joint exhibition featuring works by artists in the American Society of Classical Realism and the California Art Club. 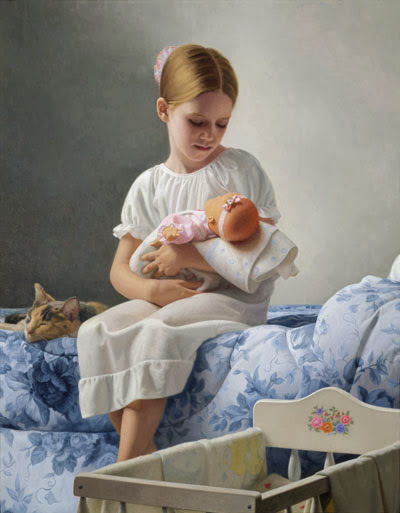 Tags: American Artist, American Painter, childhood paintings, Figurative, Figurative Painter, Mother, Paintings, Realism, Still life, U.S.